In 1982, most Britons didn’t know where the Falkland Islands were. That changed when Argentina invaded, but although many Britons are aware of events during the Conflict, knowledge of the events that led to it seems to be much less widespread. 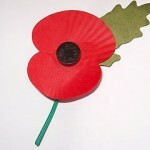 The death of Baroness Thatcher, and her funeral (with military honours) is bound to bring the subject to the public’s attention. I think it’s worth remembering how her government’s actions led the Argentinians to believe that an invasion would not be contested. Below I have set out a timeline of events leading up to the invasion. April 1977: Labour government releases a consultation document regarding nationality law. December 1978: Talks between the UK and Argentinian governments take place in Geneva, and agreement is reached over scientific activities in the Falkland Islands Dependencies. The agreement is rejected by the Islanders as an erosion of sovereignty. March 1979: Talks about Falkland Islands sovereignty recommence in New York. No progress is made. May 1979: Conservative government elected. Margaret Thatcher becomes Prime Minister. July 1979: Nicholas Ridley, Minister of State at the Foreign and Commonwealth Office responsible for the Falkand Islands, visits the Islands and suggests a leaseback proposal, with sovereignty transferred to Argentina and the islands leased back to the UK, and under UK control, for a fixed term (probably around 100 years). The Islanders reject the idea. April 1980: Talks between the UK and Argentinian governments in New York. No progress is made. September 1980: Nicholas Ridley holds secret meetings with the Argentinian Deputy Foreign Minister. They agree to the leaseback proposal (as suggested to the Islanders in July 1979), with a 99 year term. July 1980: Following on from the Labour consultation document, the Conservative government releases a white paper setting out proposed changes to nationality law. November 1980: Nicholas Ridley travels to the Falkland Islands to put the leaseback proposal to the Islanders. He reportedly loses his temper at a meeting and tells Islanders that they will be to blame for the consequences. January 1981: The Islanders agree that the British government should continue negotiations with Argentina, with representatives from the Islands present, and that the talks should seek to freeze the dispute over sovereignty. February 1981: Talks are held in New York. The British delegation includes two Islanders. No progress is made. October 1981: The British Nationality Act 1981 receives Royal Assent. The act removes British citizenship from most Falkland Islanders, removing their right to live in the UK. December 1981: A junta headed by General Galtieri overthrows President Viola in Argentina. It is supported by Admiral Anaya, on condition that the navy is allowed to invade the Falkland Islands. February 1982: Talks are held in New York. The British delegation includes two Islanders. No progress is made. 17th March 1982: An Argentinian scrap dealer and 41 workers land illegally on South Georgia, to dismantle whaling stations there. 19th March 1982: The Argentinian scrap workers are discovered. Governor Hunt orders them to board their ship and report to the base commander at Grytviken for further instructions. HMS Endurance is ordered to South Georgia, with a detachment of Royal Marines on board. 28th March 1982: Amid concerns of an upcoming invasion, nuclear powered submarine HMS Spartan is ordered to the Falklands. Argentinian troops board transport ships. 31st March 1982: Argentinian submarine Santa Fe carries out reconnaissance of intended landing areas. 1st April 1982: Governor Hunt receives a telegram from the Foreign and Commonwealth Office, warning that an Argentinian task force could attack Stanley at dawn the next day. 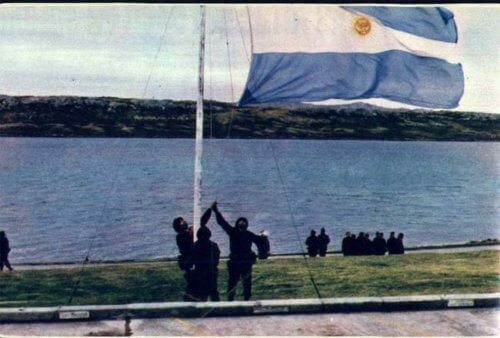 2nd April 1982: Argentinian forces land on East Falkland. After a brief fight, they capture Stanley and Governor Hunt surrenders. 3rd April 1982: An Argentinian force captures South Georgia, overcoming the small Royal Marine force there. As the above timeline shows, Mrs Thatcher’s government reduced the military presence in the region while trying to persuade the Islanders to accept a leaseback arrangement which would eventually cede sovereignty of the Islands to Argentina. The First Sea Lord, the Foreign Secretary, the Islanders themselves and the British Embassy in Buenos Aires all warned against these policies. Their warnings were ignored, leading to a conflict which cost the lives of around 1,000 people in 1982, and at least 764 that have committed suicide since then. Why was our government interested in the lease-back deal? Just to avoid potential conflict? There was no real strategic benefit to keeping the Islands, especially as the armed forces were being cut back and re-organised around NATO commitments (and NATO didn’t operate that far south). Plus, the Falklands economy was stagnant, and a 1977 report had concluded that significant investment was required. If a lease-back deal could have been negotiated, closer ties to Argentina could have been set up, which would have potentially helped the economy. Savings could also have been made in defence, since the only real threat to the Islands is Argentina – if that threat is removed by a deal, the defence money can be spent elsewhere. Ironically, after the war, the government spent a lot of money investing in the local economy and significantly improving the defences (Port Stanley airport was improved, a large RAF base was built, and a deep water port was established). When the invasion happened in 1982, there were less than 100 British service personnel on the islands – now, at any one time there’s over 1,000 people, four fighters and a warship.